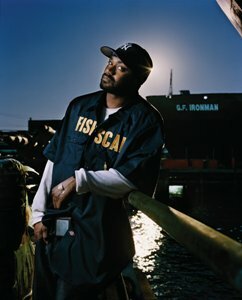 Ghostface Killah, one of the most critically acclaimed rappers of the decade, is planning to drop a new album before the year is out, according to a publicity site for Universal Music. The album, called The Big Doe Rehab, is scheduled to drop on December 4. And he’s stoking anticipation for the disc with two innovative tours. The first, which was mentioned a few days ago, is a college campus tour sponsored by Adult Swim. Ostensibly a coming-out party for Dungeon Family affiliate Witchdoctor, Ghost will be headlining the short one-month trek. After that, he’ll appear on Hip-Hop Live!, a package assembled by syndicated cable channel producer Flow TV. Joining him will be Rakim, the original “best rapper alive,” who will preview cuts from his forthcoming album The Seventh Seal; and Minneapolis big bear Brother Ali, who continues to promote his recent The Undisputed Truth. Taking a page from the influential Scion Metro series, all three men will be backed by funk combo Rhythm Roots Allstars. This entry was posted in News and tagged Ghostface Killah. Bookmark the permalink.